Today Wilton Park marks the International Day for the Remembrance of Slave Trade and its Abolition, a United Nations sponsored awareness day that offers the opportunity to commemorate the victims of the slave trade and to raise awareness of modern slavery and the illicit trafficking of humans. The launch of The Slave Route Project by UNESCO in 1994 in Ouidah, Benin sought to overcome ignorance and concealment of this major historical event, and lead to mutual understanding, reconciliation and cooperation among peoples and nations affected and involved in the trade. 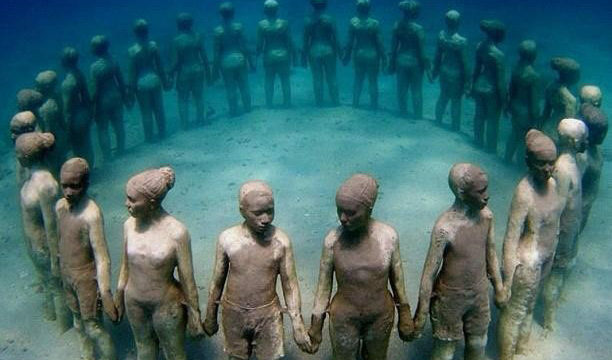 The project aims to break the silence surrounding slavery and enhance understanding of diverse histories inherited by descendants of the global tragedy. This celebratory date symbolises the agency of slaves in their liberation. The insurrection in Saint Domingue (now known as the Republic of Haiti and Dominican Republic) in the night of 22 to 23 August 1971 immediately and irreversibly affected the slavery system, and constituted the start of the abolition process. Today, a more covert and deeply hidden form of institutionalised slavery continues to affect millions of individuals in every country of the world. This inhumane activity imprisons its victims not only through chains and shackles, but involves coercion, violence and abuse, as victims are traded for the purposes of labour, domestic servitude, sexual exploitation and forced organ transplantation or donation. In the current era of globalisation, increasing flows of labour and commodities across international, and transnational organised criminal networks, are causing human trafficking to flourish on a global scale and infiltrate many sectors of the economy, including construction, hospitality and agriculture. The UK’s Modern Slavery Act, passed in March 2015, seeks to ensure that tough penalties are in place for perpetrators, alongside important protection and support for victims. Wilton Park has been working on a number of events to end modern slavery as part of our human rights portfolio. Our event on Combating human trafficking: business and human rights considered the most effective ways of combatting human trafficking in the business supply chain, both internationally and in the UK, bringing together a broad spectrum of participants from both the private and public sector. Wilton Park’s upcoming event, The migration challenge: tackling root causes, will provide a neutral space for balanced and informed discussion on the key factors fuelling the migration crisis in Europe; explore the challenges for source and transit countries, and seek practical ways in which to respond and enhance cooperation in the short, medium and long term.